The development or redevelopment of Public Markets, is very different than the development of all other forms of commercial real estate. 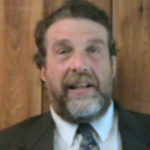 Aaron Zaretsky, is the creator of this website. As a consultant to over 40 Public Market development projects, he can attest that it is far more cost effective to get expert help early, during a project’s initial development stage, than to “fix” problems that occur due to the sponsor’s lack of Public Market development experience. 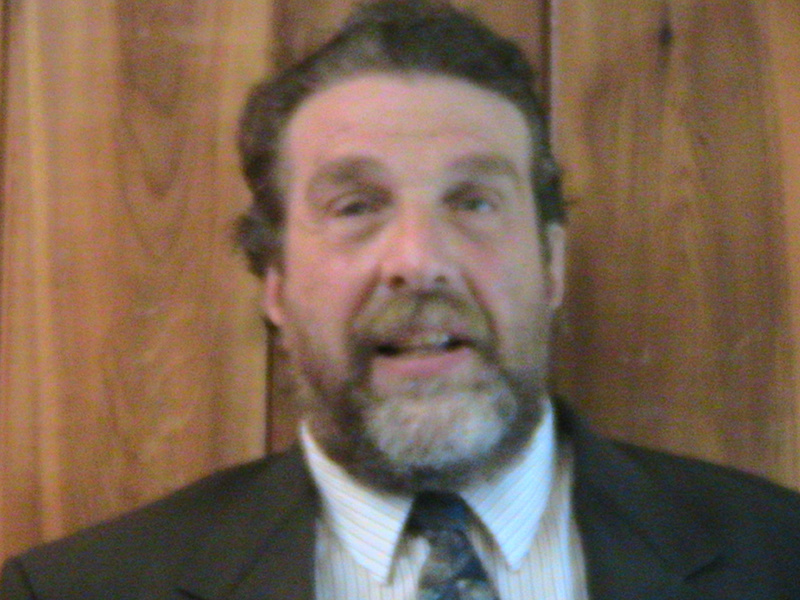 In addition to nearly forty years of experience in the development and/or management of Public Markets around the country, Zaretsky has an extensive assemblage of Public Market sample lease forms, rules and regulations, staffing patterns, job descriptions, Articles of Incorporation and Bylaws, operating and capital budgets, etc.. He also has an extensive collection of slides of the over 350 Public Markets he has visited in Mexico, the Caribbean, Central and South America, as well as Africa, Canada, Europe and throughout the U.S.
His consulting experience spans the various aspects of creating and/or redeveloping Public Markets, including the necessary conceptual, feasibility, site analysis, tenant mix, design, fundraising, predevelopment planning, architectural analysis, construction development, project management, marketing, political “positioning”, grand opening, and operational stages of development. 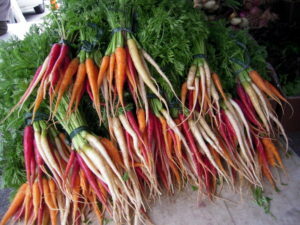 All too often, the development of Public Markets is focused on “placemaking”, resulting in Markets that are too often characterized by opulent architecture and $6.00 a pound carrots. In the opinion of this website’s owner, places like Whole Foods and Dean and Deluca are perfectly capable of filling the nitch for homogeneous, upscale fresh foods without the need for public subsidy. Public Market development should meet important public policy goals while reflecting the heart and soul of a community, and meeting its everyday shopping needs. The excerpt of the article that follows has a wealth of information regarding the steps in developing a Public Market. It was the lead article published in the fall, 2012 issue of Farmers Markets Today, a national magazine geared toward governments and other operators of farmers markets. This excerpt includes the entire article except for issues that are covered elsewhere in this website. 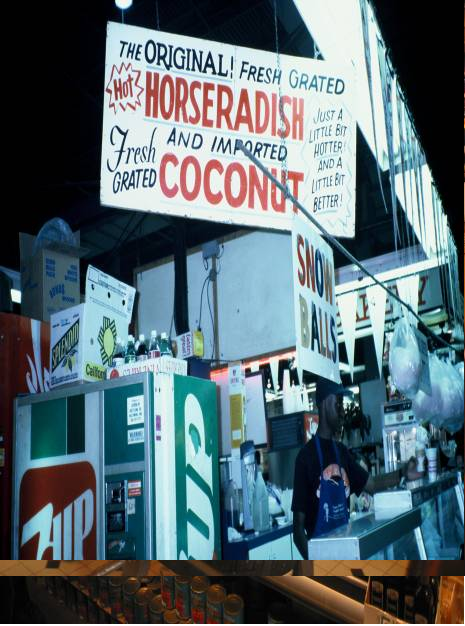 Imagine…stepping in to ‘your’ Public Market. The abundance and color of the product displays are sumptuous and gorgeous. You turn down the aisle and the smell of fresh baked bread and fresh roasted coffee wafts into your consciousness. Suddenly, the farmer grinding horse-radish goes to work and your nose is assaulted by a different kind of odor. Down the aisle, there are your friends visiting over hot scones and fresh churned butter. 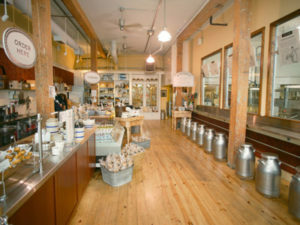 Pike Place Market’s Beecher’s Cheese where thousands of pounds of cheese are daily produced on site. Your children meet the farmer who brings in fresh milk from her dairy to make cheese – finally your child has that ah-hah moment as he “meets the producer” and realizes that food is not birthed in Styrofoam containers. Your favorite juggler is here today and in the background, the jazzy sound of a saxophone drifts by your ears. You spend twice what you intended but you go home sated and happy. Today Starbucks has 20,000 stores in 59 countries grossing billions of dollars annually. Starbucks is but one of many mom and pop stores that got their start in a Public Market and went on to become fabulously successful. Wax Orchards is one of the world’s largest wholesale manufacturers of all natural fruit sweetened fudge and fruit syrup products. Cascadian Farm is one of the country’s leading brands of organic foods. It was recently bought by General Mills. 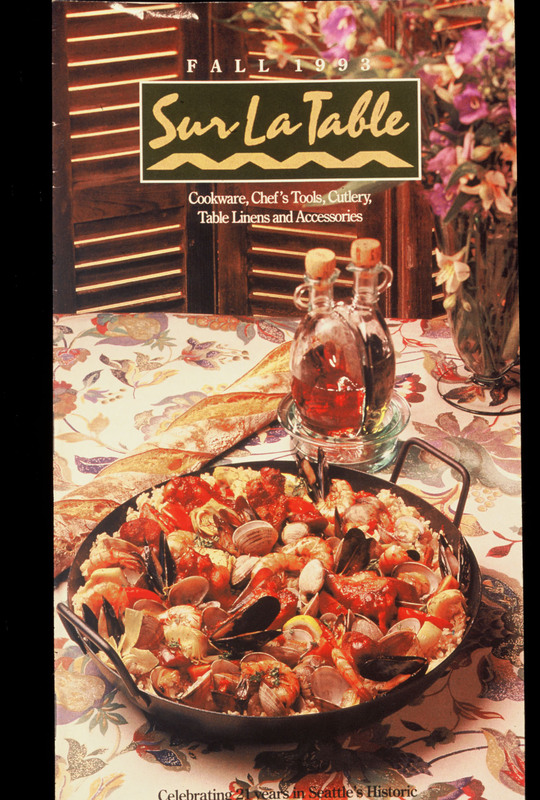 Sur La Table is the second largest kitchen supply store in the world with more than 100 stores and annual profits of over $150,000,000. 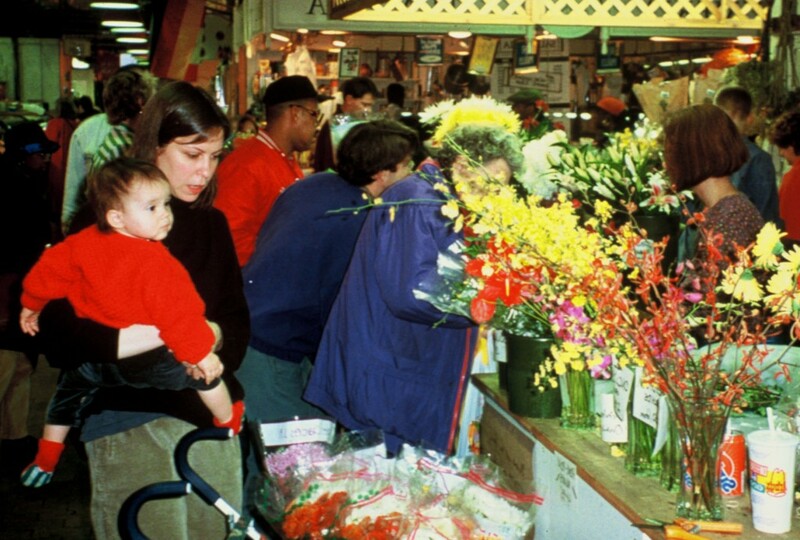 These businesses all started at Pike Place Public Market as small mom and pop local operations. Both Wax Orchards and Cascadian Farms started on the daytables. Public Markets, by providing training, a supportive environment, institutional advertising, and a critical mass, help private businesses to succeed. Who’s ready to take the next step? 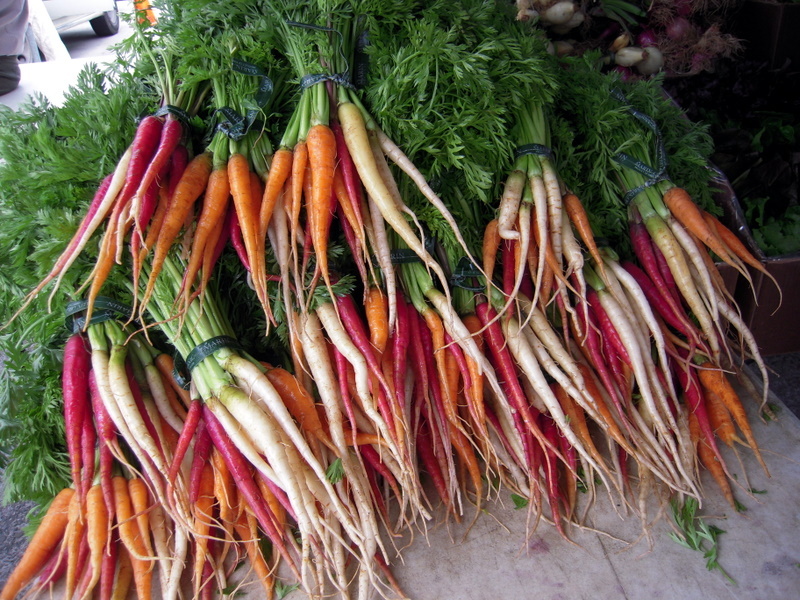 Public Markets are complex, multi-million dollar projects that need substantial grant funding. They are fine tuned to the unique culture and products of their communities. Hundreds of new successful Public Markets have been created in the last 30 years. The one attribute that is common to these Markets is that they had sound, experienced planning by experts with substantial experience in developing Public Markets. Unfortunately, there are also several examples of failed or languishing efforts that were typically planned by City staff or developers who thought that retail and commercial development of malls, shopping centers, etc., prepared them to create Public Markets. 1) You are an existing entity (marketing coop, nonprofit, government entity, development entity, etc.) that is prepared to work collaboratively with local government and citizens to accomplish the initial planning for ‘your’ Public Market. Individuals can not start a Public Market in isolation. 2) You have the ability to raise at least $100,000 in local funds to “prime the pump” and begin the planning process. The author of this article has helped to raise over $100,000,000 in grant funds for developing Public Markets. There is substantial funding available but not without local buy in and participation. 3) You live in a community where there are at least 50,000 local residents within a 20 – 30 minute radius of the Market. Public Markets can be scaled to small communities but there needs to be enough of a critical mass to attract customers who will shop week in and week out. 4) You understand the importance of working with expert help and you are not planning on trying to ‘reinvent’ the wheel’. This is the major reason for the failure of Public Market efforts. 5) You are in it for the long haul and understand that the benefits that Public Markets bring, only come with lots of hard work, enthusiasm, and long term commitment. Public Markets take years to develop. Find expert help with deep experience in the development and management of Public Markets. They can work with you to develop the 2 critical documents that are necessary to create a successful Public Market – the Feasibility Study and the Business Plan. 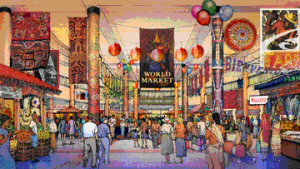 The Feasibility Study establishes the likelihood of success of a new Public Market development. In the author’s experience, roughly 1/3 of Feasibility Studies conclude that the project should not proceed for a wide variety of reasons. This potentially saves the development entity millions of dollars in downstream costs that may be wasted. 1) A review of past relevant documents. 2) Observations, strengths and weaknesses noted during an on-site visit/visits. 6) Complementary/competitive Retail Use Analysis. 8) Recommendations regarding feasibility and if feasible, the recommended size of the new facility. 9) A comprehensive plan for ‘next steps’. If a project is deemed to be feasible, key players should take a guided tour of similarly scaled Public Markets and should establish their Mission and Goals. 1) Market Report/Survey – 30-40 questions specifically geared toward multiple separate cohort groups (nearby residents, city residents, tourists, employees/employers, commercial realtors, etc.). Analysis of these results will provide invaluable information on location, tenant mix, and so on, as well as helping to build an economic model. 2) Tenant Leasing Plan. The scale, type, and quality of recommended tenants. 3) Design Program – A written narrative and technical description of the design of the Public Market with sufficient detail for an architect to base a final design. 4) Simplified schematic layout + bubble diagram showing the relationship between project elements. 5) Parking Analysis and recommendations. 9) Trade area definition and analysis. 10) Preliminary Operating Pro Forma. 11) Financial Impact Analysis – job creation, entrepreneurial development, and new taxes generated. 12) Marketing Plan – PR, special events, advertising. These elements should be assembled into a comprehensive Business Plan. Most Public Market development efforts must rely on local funding through the completion of the Business Plan. A well-conceived Business Plan will open doors to significant Federal, State, and National Foundation and Corporate funding. 1) Create interior and exterior color renderings. 3) Fundraising/financing strategy and grants. 4) Developing a “Case Statement” as a fundraising tool. 6) Develop Market property lease/ownership documents. 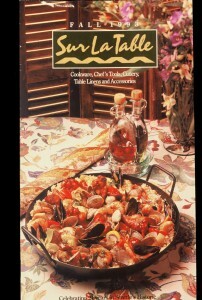 7) Develop daytable policies and applications. 9) Develop draft Tenant Leases. 10) Develop Market job descriptions. 11) Work with the Marketing Director on pre-opening publicity. 12) Plan for Grand Opening. 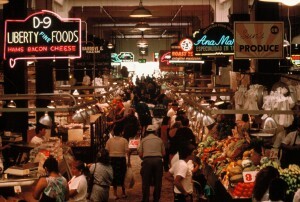 Public Markets are exciting, ‘delicious’ projects to develop. They have many complexities and potential pitfalls. For those with the vision, stamina, and funds, they will repay their sponsors many-fold with green gold.